Product prices and availability are accurate as of 2019-04-21 23:23:51 UTC and are subject to change. Any price and availability information displayed on http://www.amazon.com/ at the time of purchase will apply to the purchase of this product. 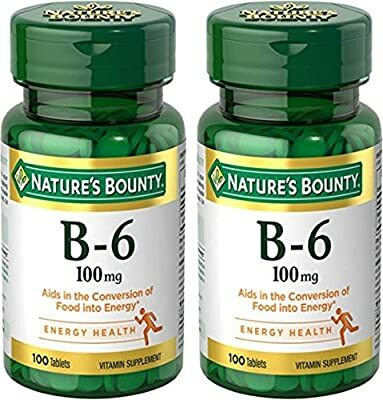 Nature's Bounty high-potency B-6 contributes to carbohydrate and protein metabolism, while promoting the production of red blood cells. Positive associations have been found between Vitamin B-6 levels in the body and eye health.